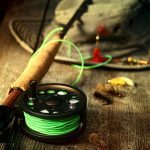 Keeping your fishing gear in good condition helps you get optimum performance from your equipment, reduces the risk of untimely gear failures and saves you the expense of professional repairs or replacement. You don’t have to be an expert to keep your rods, reels and terminal tackle in check. 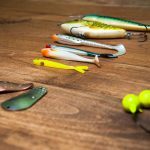 Here are a few simple ways to help you prolong the life and performance of your fishing tackle. 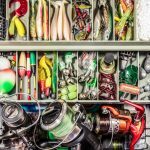 This is the first and foremost maintenance rule for any fishing equipment, especially when it has been used in saltwater. The corrosive nature of saltwater is the ultimate enemy of fishing tackle. Ensure that you always spray down rods, reels and any used terminal tackle with freshwater after every outing. It’s also a good idea and habit to spray down your gear following freshwater use too. Freshwater weeds and algae can encrust onto rods and reels and are a real nuisance to subsequently remove. Always wash with a fine freshwater spray and never dunk or submerge reels in water. Submersion washes away the internal oil and grease of a reel and will damage its ability to function properly. Ensure that salt drenched lures and terminal tackle are kept well away from your clean tackle boxes. Tossing used salty lures straight back into a clean tackle box is a recipe for a corrosive disaster. Keep an empty plastic tub on your boat or in your tackle bag to temporarily store used lures or terminal tackle. The contents of the dirty tub can be soaked in freshwater at the end of the fishing outing and then returned to their original storage. If a reel starts to creak or grind, it’s time to lubricate. There are a variety of self-servicing fishing grease and oil products on the market designed for fast and easy application. The oil products are very handy for reducing handle squeaks and rough winding in the field. Just point the nozzle into the affected area and squirt. Off the water, open up the reel and re-grease the internal reel components. It’s sensible to remove any old contaminated grease prior to the addition of any new lubricant. That way you’ll remove the sand, dirt, hairs and grime that have been causing issues in the first place. Avoid hanging hooks through the ceramic guides on a rod when you cease fishing. This common oversight risks damage to the smooth lining of the guide. Once a guide is scratched or nicked, it poses an abrasive threat to any line passing through and is a fast track to an on-water failure. Always utilise rod hook keepers or hang hooks on the base of the guides. 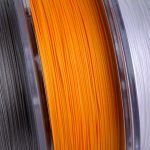 Following a fishing outing, always reduce the drag pressure on your reels by a couple of turns. There’s no need to store reels with drag pressure turned up. This simple step will prolong the life of your drag system. On the flipside, get into a good habit of setting your drag every time you hit the water. 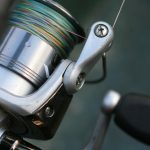 These 5 simple maintenance and servicing tips are easy to undertake and will extend the life and performance of your fishing tackle. In addition, always store your gear in tough tackle boxes and a clean environment and use rod and reel covers if they‘re available. By keeping your gear in good condition, you’ll improve your chances of hooking and landing fish and you’ll save money. 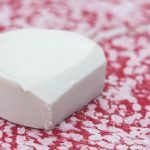 Is there anything you would like to add to this article? Let us know and share with everyone else through the comments section below.